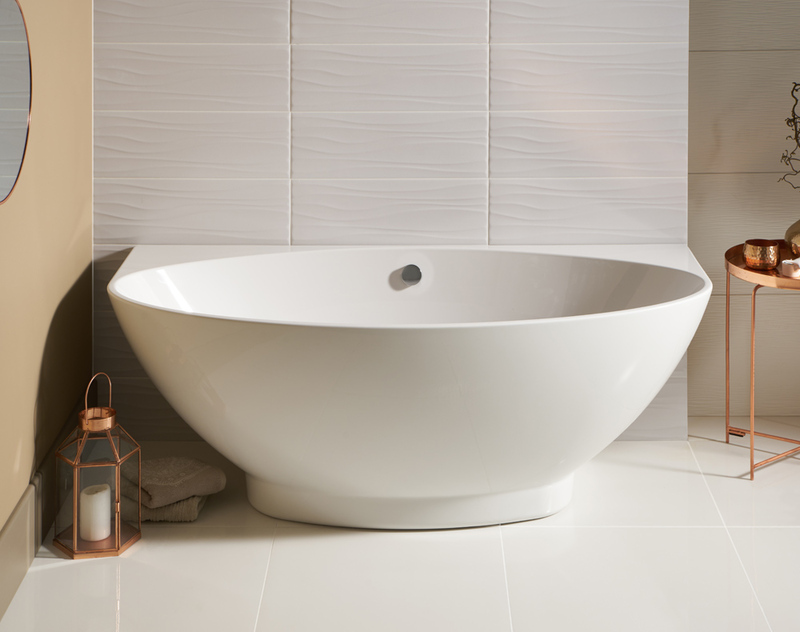 If your desire is that free standing bath look in your bathroom but feel space is an issue, look at this. 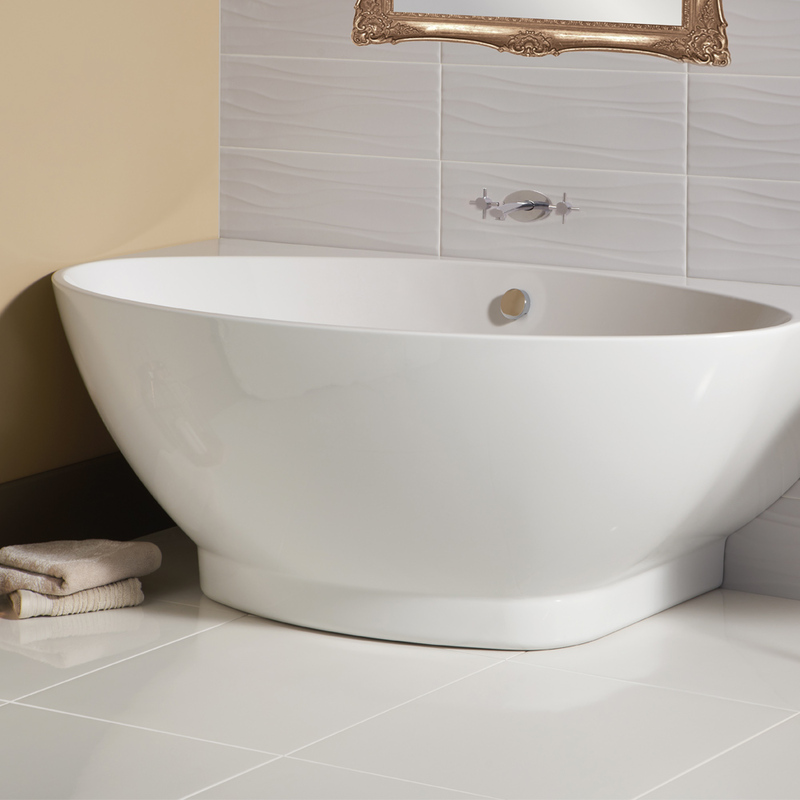 Free standing bath features but fits back to the wall either central or into a corner. This design of product allows for easy cleaning around it.